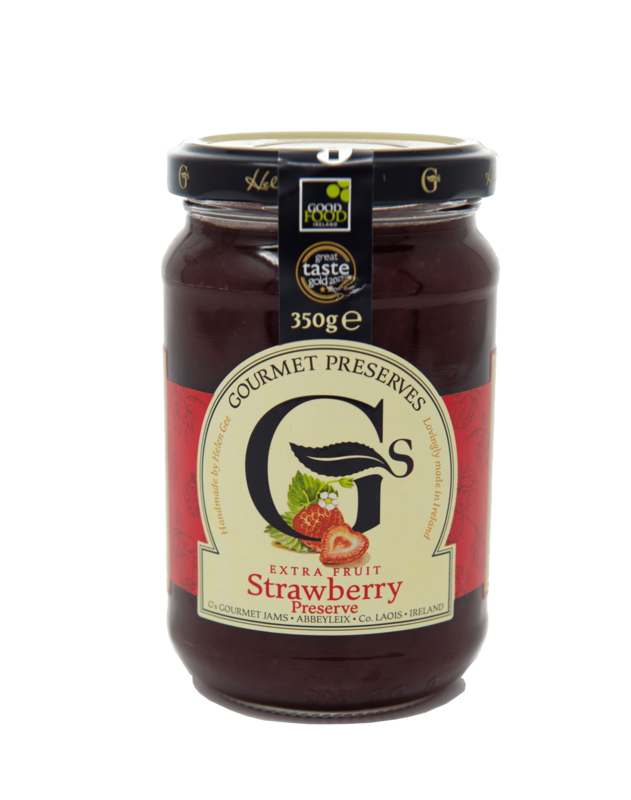 This Raspberry & Strawberry Jam is made from the highest quality of Irish Strawberries and Raspberries. 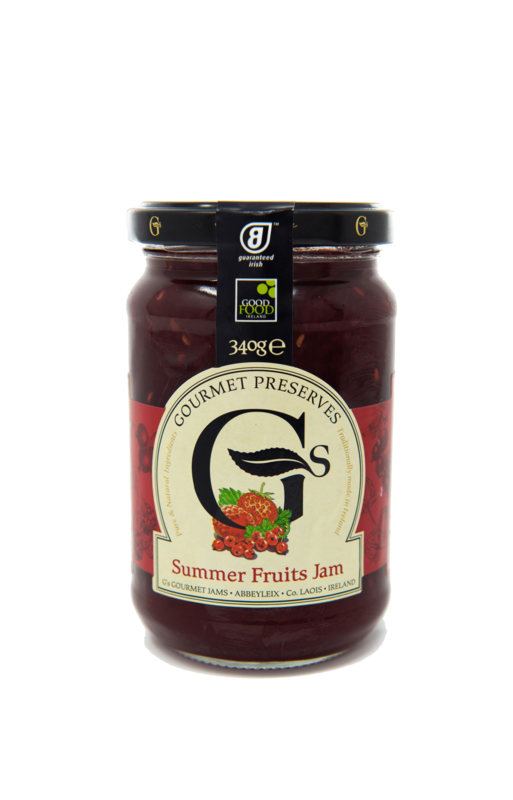 This jam is a unique combination of the summer fruits, a real taste of fresh and fruity flavours. The perfect addition to your picnic basket for your freshly made scones. This homemade jam is rich in flavour and texture and 100% pure and natural. It is gluten free and suitable for vegetarians. It contains no colourings, artificial flavours or preservatives. Serve with fresh warm scones and cream or use as a filling for your homemade cakes. The perfectly combined sweetness of the strawberries and the tartness of the Rhubarb give this Rhubarb & Strawberry Jam its unique taste. 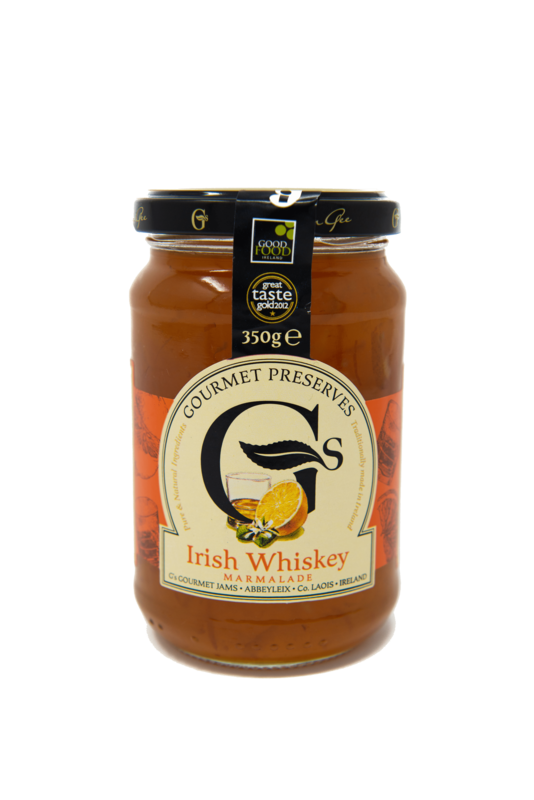 This Irish made jam is gluten free, contains no preservatives, colourings or additives and is suitable for vegetarians. 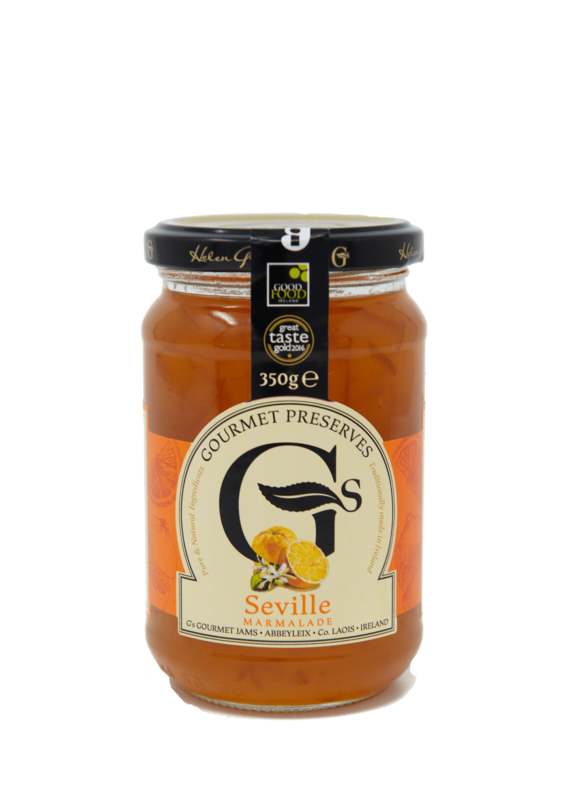 An ideal accompaniment to a slice of your freshly baked brown bread. 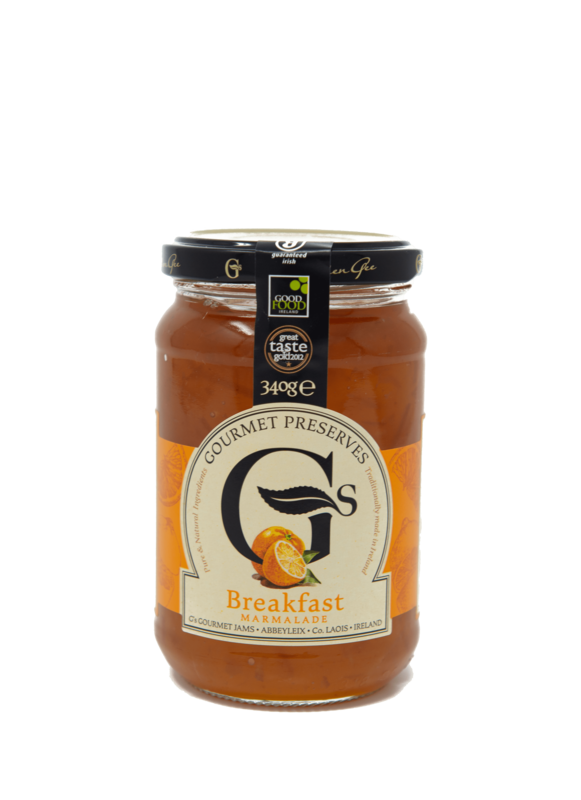 The perfectly combined flavours in this wholesome, healthy and natural jam. The perfect pick-me up for those dark dreary winter days. The classic flavours of the rhubarb & health boosting ginger just simply work so well together. 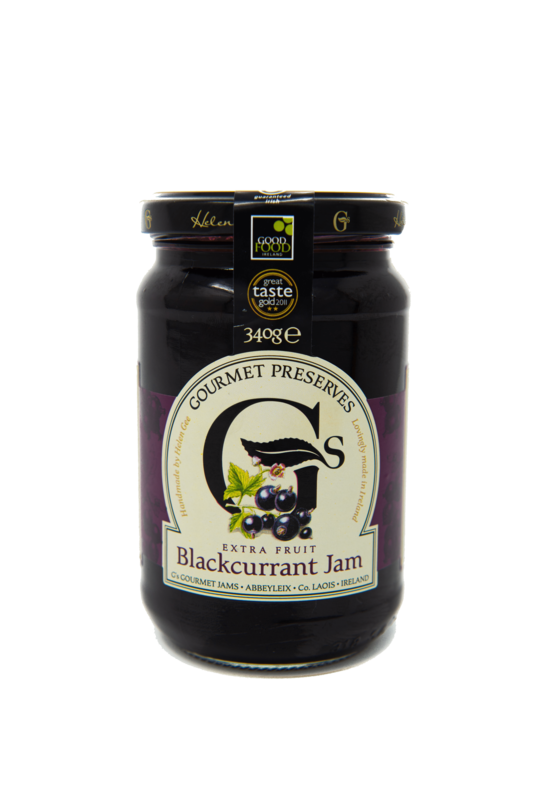 This Jam is gluten free and contains no preservatives, colourings or additives. Tastes delicious when served on freshly baked breads. This delicious jam bursts with flavour. The sweet flavour of the blackberries combine perfectly with the sharpness of the apples to create a scrumptious Jam. It is gluten free and contains no artificial colourings, flavourings or additives. It is also suitable for Vegetarians. Ideal for spooning over hot pancakes or spreading on hot buttered toast. This Jam is an old favourite. The sweetness of the sugar combines perfectly with the tartness of the gooseberries like a match made in heaven. 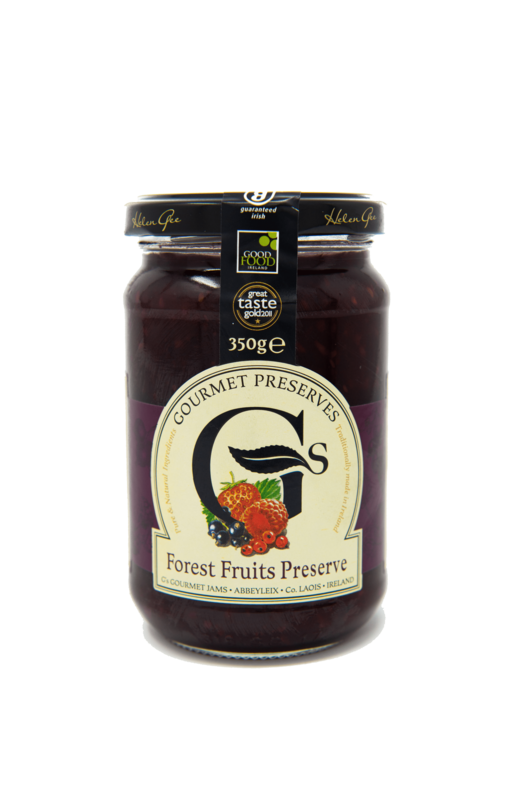 This jam is gluten free and contains no artificial colourings, flavourings or additives. It is also suitable for vegetarians. The perfect accompaniment to your slice of toast or your freshly baked brown bread. A delicious combination of juicy tomatoes, firm red peppers, onions and spicy jalapeno peppers. It is gluten free and contains no artificial colourings, flavourings or additives. It is also suitable for vegetarians. Serve as a delicious dip or as the perfect addition to cold meat salads, fresh sandwiches, stir-fries and steak dinners. A festive rich and fruity sauce with an added kick of port to really make the most of the seasons’ best festive flavours. It is gluten free and contains no artificial colourings, flavourings or additives. It is also suitable for vegetarians. A traditional accompaniment to Turkey at Christmas Dinner. The lemon adds a refreshing twist to this Mint Jelly. It is gluten free and contains no artificial colourings, flavourings or additives. It is also suitable for vegetarians. A traditional condiment served with lamb dishes. A luscious thick and creamy spread made from lemon juice, egg yolks and sugar. 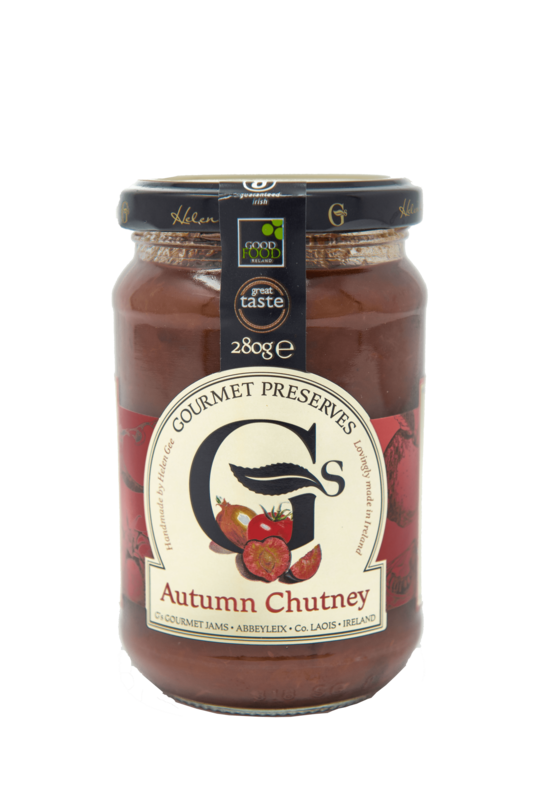 Tastes delicious when spread on toast, scones or crepes. Also a key ingredient when baking lemon meringue pies or as a topping/filling when baking buns or cakes. It is gluten free and contains no artificial colourings, flavourings or additives. It is also suitable for vegetarians. A rich luxurious brandy flavoured butter traditionally served with plum pudding or mince pies at Christmas. It is gluten free and contains no artificial colourings, flavourings or additives. It is also suitable for vegetarians.